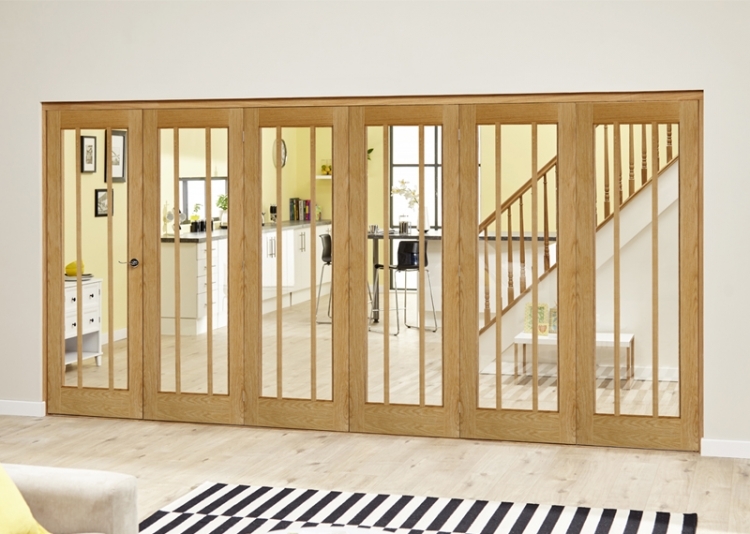 This more Traditional range of Climadoor Roomfold Deluxe internal bifold doors is supplied in an unfinished oak veneer. Available in 3, 4, 5 and 6 door systems, using either 610mm, 686 or 762mm internal doors you ensure that installation is made simple with no planing of doors on site and a simple installation routine to follow to assemble the doors and frame in the opening. Joiner recommended. This top hung system is offered with frame, head and base track, running gear, hinges, drop bolts and pre glazed doors. Please refer to our storage and decorating recomendations before installing the doors. All doors MUST be decorated before installation. All our Roomfold Deluxe systems are offered without handles to allow you to match existing ironmongery in your room.